It has recently been announced that Virgin Media has renewed its contract with the nation’s fastest and biggest mobile broadband network Everything Everywhere (EE). The extension of the agreement between the two telecommunications giants will mean that EE will provide Virgin Media with network support for its mobile broadband services. Specifically, it will provide connectivity for the company’s dongle services. Existing customers with Virgin Media who sign up for a specific 18-month contract with the broadband provider can use its dongles free of charge. Other customers, who don’t have broadband, TV or home phone services with Virgin Media, have to pay for the privilege. The EE 4G mobile phone network is the biggest in the country, reaching more than 115 towns and cities at present and hoping to reach at least 98 per cent of the UK by the end of 2014. 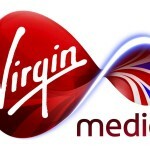 With this impressive coverage, it follows that the operator would win Virgin Media’s business yet again despite intense competition from other major mobile network operators. Meanwhile, Gerry McQuade, who is the chief marketing officer for EE’s non-consumer arm, said that Virgin Media had made the right choice by joining up with the EE network yet again. He explained that a continued arrangement between the two companies means that Virgin Media’s customers and staff – of which there are believed to be around 14,000 in the UK alone – can enjoy continued access to the EE 4G broadband network, which is believed to be the fastest and the largest in the whole of the UK.